As I was reading about daily rituals of history’s most creative minds, I started to reflect on what I’ve been doing to improve my routine. It began with my daily walk at lunchtime last year around this time, and now I’ve been eating nearly the same breakfast every day. Most recently, I’ve added in flossing my teeth before I go to bed at night. No more lying to the dentist. I’m realizing how important these habits are becoming for me. Since no two workdays are the same for me, and since there is little else to rely consistently on (even my fiancé’s schedule varies), these things are vital to keeping myself grounded. 17-year-old me would scoff at this routine, roll her eyes and tell me that this is boring, and that I might as well buy a minivan and have three kids in a white-picket-fenced house in the suburbs. And that I might as well wear mom jeans. It’s not, and I won’t. Each daily process is strategically placed to structure and bookend my days. No matter how much work I have to do, or how much time I’ll get to spend with my fiancé each day, I still know how the day will begin and end. Again, not true. There are ruts, and then there are routines. Routines have been known to help people create their best work, and they are rhythmic, almost hypnotic. All of the above habits that I’ve incorporated into my day are intended to help me work towards a more solid, efficient routine where I can frequently produce my best work. Start with habits, then move into a routine. If you can, make it pleasant. I make my already pleasant daily walks even better by taking the opportunity for some positive social interaction. I typically call a friend or family member and get a status update – typically it’s my mom and I bouncing wedding ideas off each other. Start small. This one is difficult. With the new year coming up quickly, I realize that many of us are going to resolve ourselves to working out every single day, and every single one of us will likely fail. Not because we’re lazy – but because we put too much pressure on ourselves from the beginning. How about running 2 miles once a week? Start small so that your accomplishments seem bigger. Reward yourself. I’m not saying that flossing your teeth each night warrants a Starbucks reward in the morning. Learn to reward yourself by allowing yourself some sunshine, or simply by amplifying your positive thoughts. When I started flossing, my reward was knowing that my dentist no longer has the upper hand when they ask if I’ve been flossing. Strange, but also strangely affective. Practice makes perfect. Continuous practice. Don’t let yourself slip, especially during the first month of practicing your new habit – this is a vital time, and when it comes down to it, it makes or breaks your habit. I ran nearly every morning before work during the summer, but soon I started letting myself sleep in (as a reward for what? who knows), and I began putting my run off until the evening or the next day and then boom my habit (still in its infancy) dissolved out of my sleepy mornings. 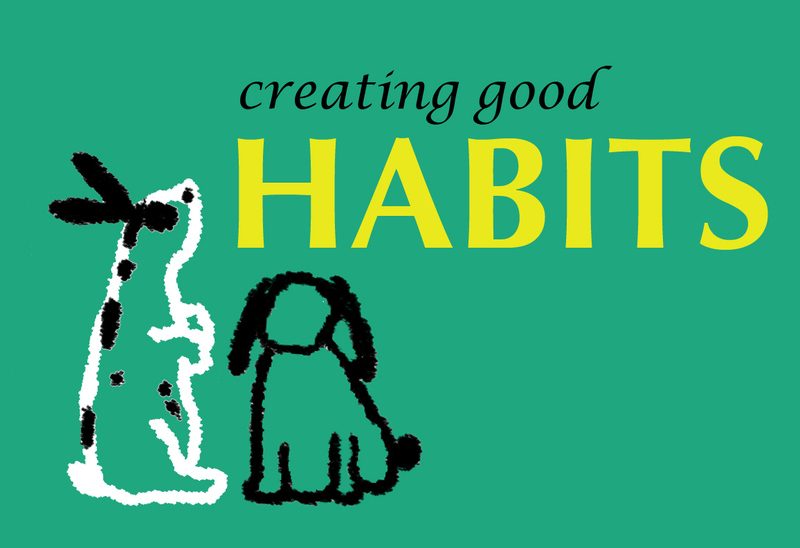 What kinds of habits do you have, or which ones are you working on? I’d love to know how starting small and moving forward has worked for others.